Detachable side skewer stands will let you have all the necessary stuff within easy reach when you cook. The unit is pretty bulky. This clay oven encased in a stainless steel body looks very modern yet offers all the benefits of a traditional charcoal tandoor. 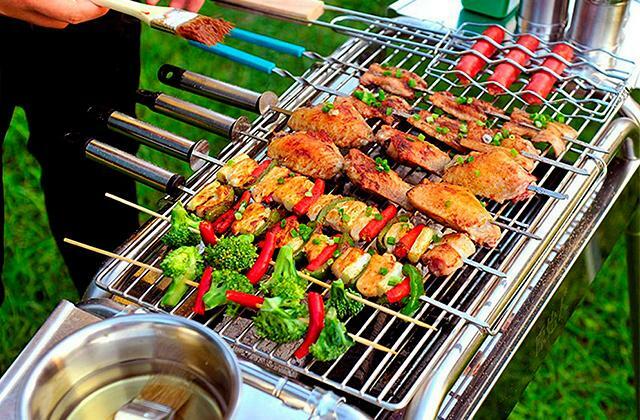 It is big enough to cook meals for 20-25 persons, which will make it a spotlight at any garden or BBQ party. Meanwhile, a variety of accessories included in the kit will allow you to engage your friends and relatives in the cooking process. A gas kit is available at an extra cost. 30" x 24" x 22"
The model boasts top-quality insulation for maximum heat maintenance and creating authentic tandoor dishes for all the world like centuries ago. It might take some time to get the hang of a cooking technique. A nice-looking, easy-to-use, and truly functional, this tandoor oven will find its place in any household of tandoori lovers. 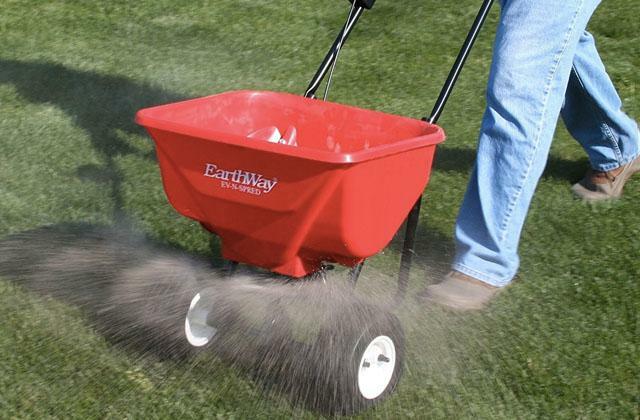 It's a great choice for the use on the terrace, patio, or simply somewhere in the garden. Not only will it help you create a festive mood and treat your guests with Asian style delicacies but also you can engage your friends in the cooking process. 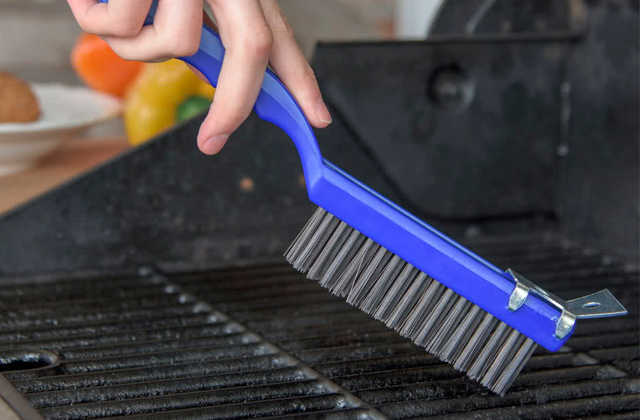 Anodized aluminum with a non-stick coating ensures quick heat up and perfectly maintains a consistent cooking temperature. Besides, it prevents food from scorching and allows for oil-free cooking. Have you ever thought about barbequing food indoors? Sure, you have. 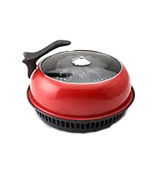 And now you can do it with this mini gas tandoor from Joycook. 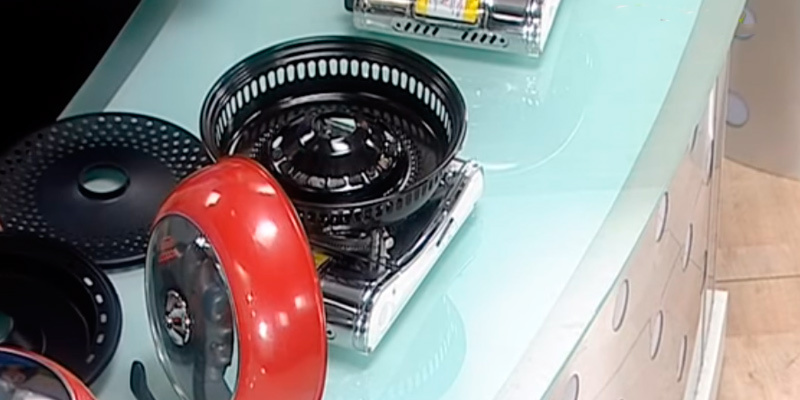 Though it resembles a kind of a frying pan, it will let you grill, roast, and bake foods. Using convection heating, it will deliver ideal cooking results time and again. 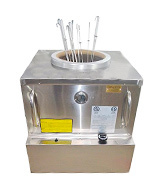 14.3" x 14.3" x 8.5"
Two carry handles make this tandoor highly portable and safe to use. You can easily move it from one place to another even if it's still hot. If you want to get the hang of tandoor cooking techniques at home, the Anmol tandoor is worth a try. It's a stovetop model that will let you cook tandoor-quality breads and grilled meals right in your home kitchen. Easy-to-use and easy-to-store, it will quickly become one of your favorite kitchen appliances. It's a certified professional model packed with a variety of different accessories for cooking authentic tandoor dishes. Needs a permanent gas connection. This model is a commercial-grade tandoor oven created on the basis of a classic clay tandoor and designed to cook authentic dishes of Asian cuisines. It will make a perfect addition to any restaurant or grill bar and find its place in the kitchen of a real gourmet ready to push the boat out on a professional equipment. 32" x 32" x 37"
Want to master a centuries-old tandoor cooking technique? If so, you’ll hardly be able to do that without a tandoor. Yet, low chances are that you’ll be ready to build a traditional clay tandoor oven in your garden. And, actually, there is no need to. The SS2 Ultima charcoal tandoor from PURI will let you enjoy a traditional cooking method without the hassle and mess of setting up a permanent oven. Specialized in tandoors, the manufacturer managed to fit a standard clay tandoor (keeping all the benefits it brings) into an absolutely modern format, which makes it possible for all tandoori devotees to cook their favorite recipes in an authentic manner. At a glance, the device looks amazing and gives a feeling of a professional piece of equipment. And it really is like this. A clay vessel comes encapsulated in a perfectly insulated stainless steel body. A solid and sturdy casing not only protects the clay insert from damages but also is meant to retain heat for longer. That’s not to say about its stylish design that will look gorgeous in any garden, backyard, on the terrace or on the patio. 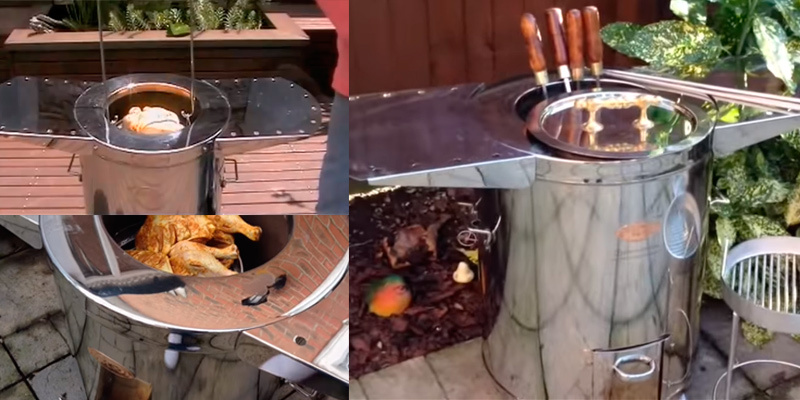 When it comes to functionality, this tandoor will surprise you with the versatility you'd hardly expect from a home unit. A comprehensive package of accessories will let you bake traditional Indian flat breads (nan, chapati, roti, etc. ), roast, grill, and barbeque meats and veggies. Snap on side tables will let you keep all the necessary ingredients, dishware, and cutlery at hand while a small sliding door in front of the unit will provide easy access to the charcoal compartment when you need to add coal or enhance oxygen flow for more intensive smoldering. A generously-sized clay vessel can accommodate up to 10 skewers with larger chunks, a whole chicken, lamb or pork leg, and more. All in all, you can easily cook foods for about 20 to 25 persons and throw a sumptuous feast. The PURI Ultima tandoor oven is a top-quality product that offers all the benefits of a traditional full-scale clay tandoor and will become a centerpiece of any outdoor gathering, feast, or event. Tandoori dishes are something that can be distinguished from any other foods. Spicy and flavorful, rich in tastes and savors, these foods can not only please your taste buds but also evoke some emotions and bring a certain spirit, that is the spirit of East. Want to bring some authentic India heat to your yard? If so, the PURI Deluxe home tandoor oven will come to help. Tandoor foods are delicious, easy to cook, and healthy. And you can cook them in your yard or on the terrace the same way as the Indians do. Following the basics of classic clay tandoors, this model features a cooking vessel handmade from high-quality clay. The inner walls are smooth and crack-free, so your rotis, naans, and any other flatbreads will stick flawlessly and come out perfectly baked with a golden crust. 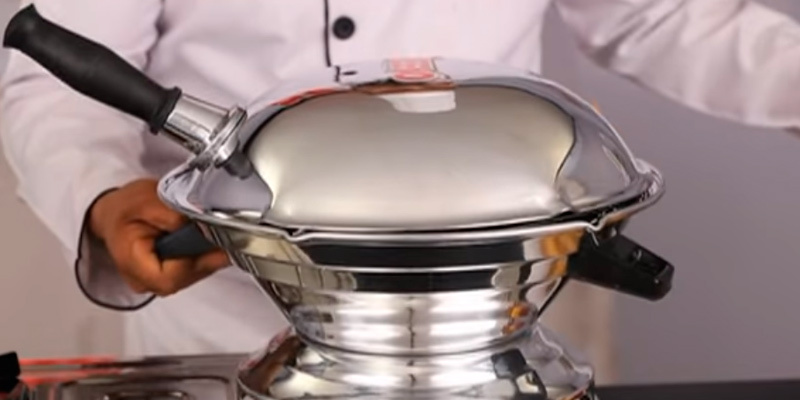 The outer casing is made of stainless steel and has a thick insulation layer to retain the heat inside and maintain an optimal cooking temperature as long as needed. Like ancient tandoors, this model applies charcoal heat that will not only let you cook faster but also add that specific smoky flavor to your tandoori treats. 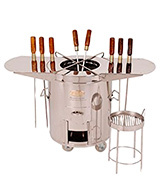 A set of accessories including long skewers, nan rods, and BBQ grill is a helpful addition for cooking not only tandoor dishes but also a variety of grill and BBQ recipes, be it steaks, BBQ chicken wings, or even burgers. Plus, you can cook for really large gatherings of 20 to 25 persons, thanks to its capacity. Though the whole tandoor construction is rather heavy, strong caster wheels make it pretty portable allowing you to move the tandoor whenever you need. 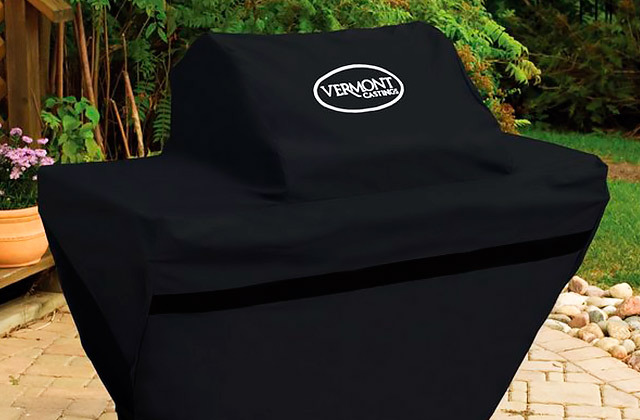 And in case of bad weather conditions or when you don’t use your tandoor, you can cover it with a weatherproof cover to prevent damages and wear. This nice-looking, easy-to-use, and truly functional tandoor oven will find its place in any household of tandoori lovers and help you not only treat your guests with palatable tandoor foods but also entertain your friends and get them engaged in the process. 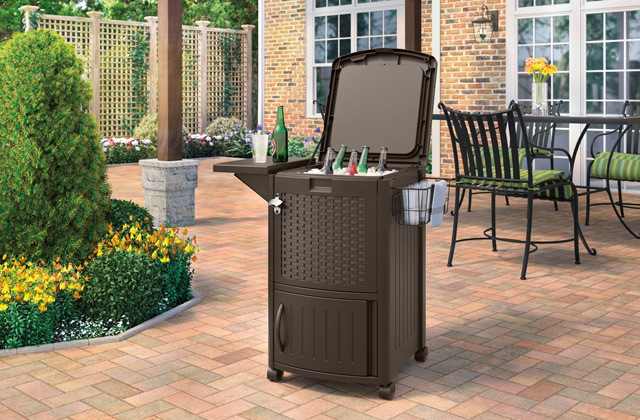 Live in an apartment, condominium, or townhouse without even a terrace and have no chance to get an outdoor grill? 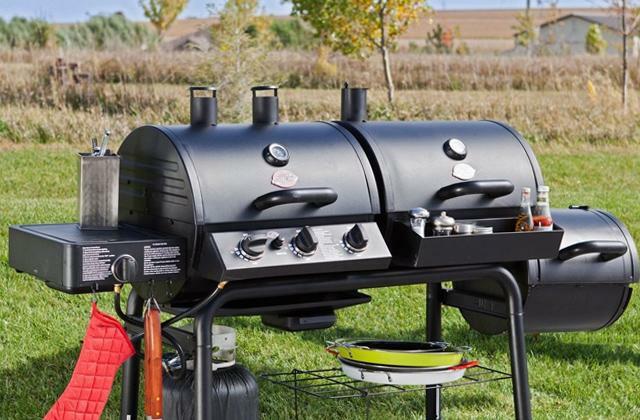 Your backyard or garden is too small to install one of those full-sized grilling sets? Think you have no opportunity to taste delicious homemade BBQ foods and tandoori dishes? We will prove you wrong. 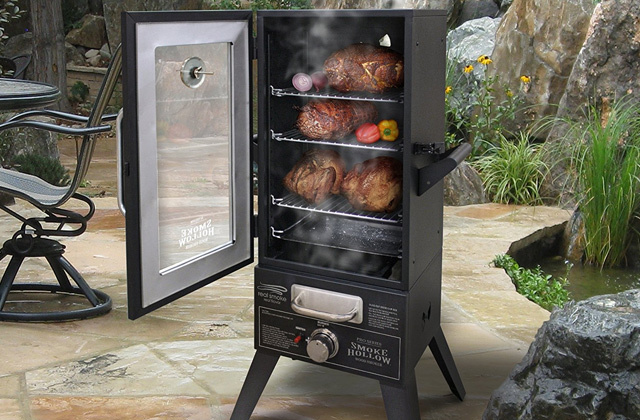 A mini tandoor oven from Joycook will let you barbecue foods indoors and achieve the same smoked flavor and crispy crust as if you were grilling on the open air. 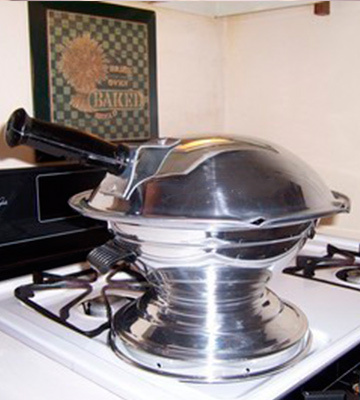 The item somewhat resembles a steamer or a deep frying pan. Yet, it’s a multicomponent device consisting of a cover lid with a glass insert, two baking pans (for cakes and roasts respectively), and a bottom tray. The whole construction simply stacks like a pyramid and should be put on a gas stovetop or gas burner. You just need to pour some water to the bottom tray, set one of the baking pans on top of it, place foods to be cooked, and cover the pan with a lid. 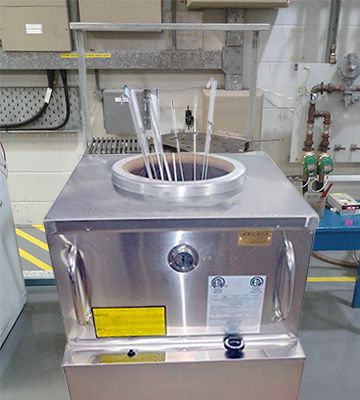 This model uses convection cooking method circulating heat from the bottom to the top and to the center. A steel bottom tray and baking pans made of anodized aluminum heat up very quickly and ensure efficient heat transfer, thus maintaining consistently high cooking temperature. It means that hot air will constantly circulate around the food evenly cooking it both from the outside and from the inside. Meanwhile, a non-stick coating on the pans, which directly contacts foods, will prevent scorching and allow grilling appetizing roasts oil-free. More than that, excess fat will drip through the holes into the bottom tray while all the natural juices and tastes will be sealed inside. This way, you can not only roast and grill meats, poultry, fish, and vegetables but also bake cakes, muffins, and other pastries. Speaking of convenience and ease of use, the device boasts a compact and pretty lightweight design that makes it portable and easy to handle. So, you can use this mini grill and tandoor oven both indoors and outdoors and even take it with you when camping or tailgating if you have a gas burner. 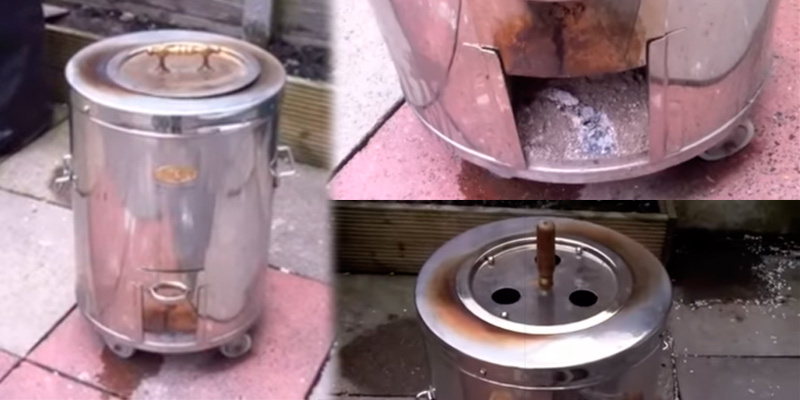 Thanks to removable sections, cleaning the tandoor is a breeze and no specific maintenance is required. 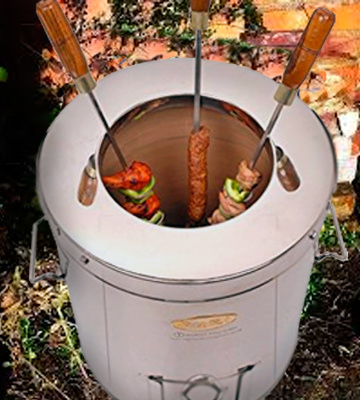 The Joycook is a great choice for those who have no place for an outdoor tandoor or simply don’t want to buy a full-scale unit, yet, still want to be able to taste freshly barbecued foods at home. Once you taste tandoori dishes, be it succulent and crispy chicken or grilled veggies with a smoky savor, you will hardly be ready to come back to ordinary roasts and will be eager to reproduce those recipes at home. Yet, chances that you’ll achieve tandoor results in a microwave or oven are very low, not to say almost none. So, does it mean you have to either get a tandoor oven or give up trying to cook tandoori meals at home? Not at all. You just need the right equipment, something like a gas stovetop tandoor from Anmol collection. At first sight, it may seem that this model has nothing in common with an original tandoor. However, though there is no outward similarity, this device uses the same cooking principle, ensuring authentic tandoor cooking results. And there is no need to maintain ember smoldering. Just place the cookware on the gas stovetop, let it heat for 3-5 minutes, and you are good to go. 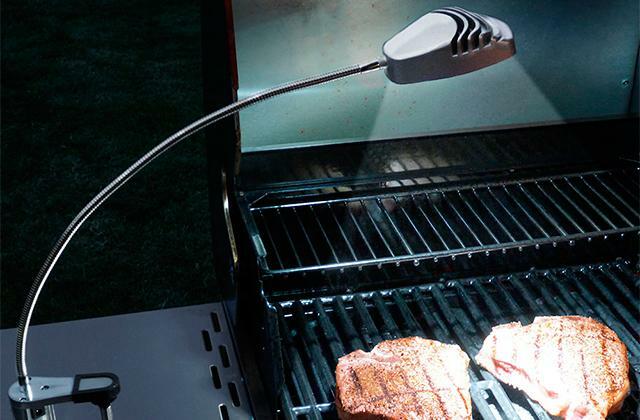 Made of aluminum, the device quickly transfers the heat and maintains a consistent cooking temperature. Meanwhile, ventilation holes on the bottom ensure efficient air circulation for more even cooking and appetizing results. 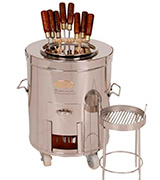 A mesh grill included in the pack allows grilling and roasting all sorts of meat, fish, vegetables, and more. 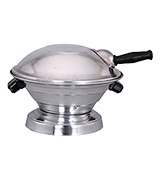 Besides, unlike many other models of this kind, the Anmol mini tandoor is even suitable for baking flatbreads. Wonder how? There is nothing to it. Just heat up the tandoor thoroughly and stick your rotis or naans to the lid. Like a traditional tandoor, this mini oven also allows cooking healthy low-calorie and low-fat dishes without oil and extra fat. 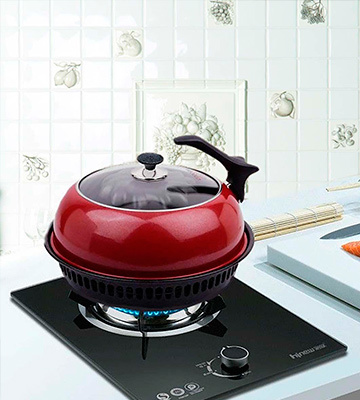 Despite its compact size and simple design, the Anmol stovetop tandoor will become your reliable kitchen helper. It will let you achieve restaurant-quality results at home and help you satisfy your craving for tandoori delicacies. If you have the budget and are ready to invest in a professional tandoor, you’ll hardly find a better option than a commercial gas tandoor from PURI. The unit is pretty expensive but it's worth every penny. In this model, the manufacturer managed to combine the best of traditional clay vessels, which were buried in the ground, versatility of modern appliances, and usability features. See for yourself. A handcrafted pot oven comes encased in a stainless steel casing with insulation, which allows it to maintain consistent heat as well as prevent direct contact with a hot vessel. It's a gas model requiring connection to a fuel supply, which not all users might find convenient. 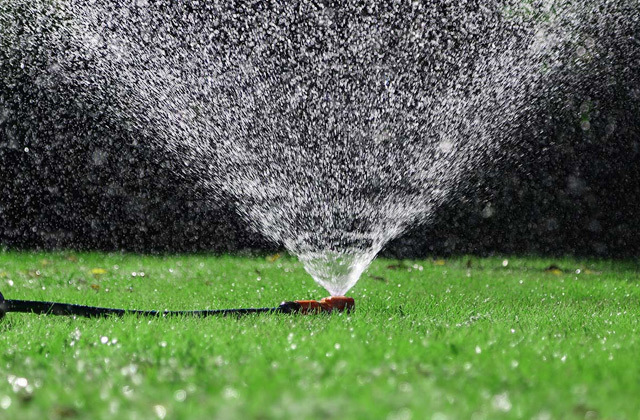 But if you need a powerful device for outdoor use, you won't find a better option. Besides, in practice, gas heating system is easier to control. 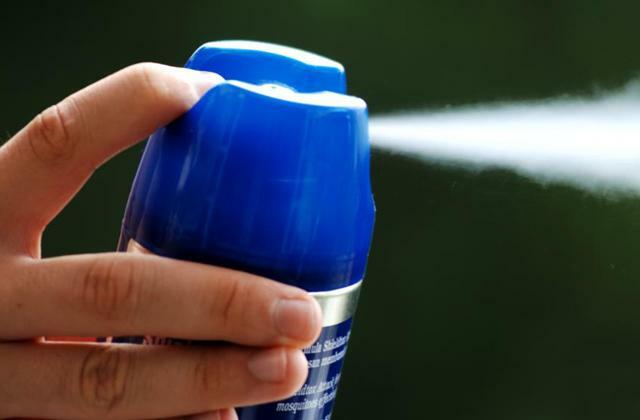 It reaches the desired temperature quicker and maintains the heat better. 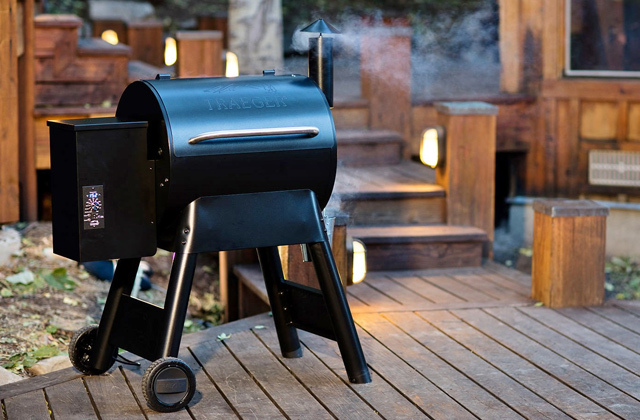 You won't need to add coals in the process or worry about ventilation. The tandoor allows for adjusting the flame intensity and uses clay stones like coals. 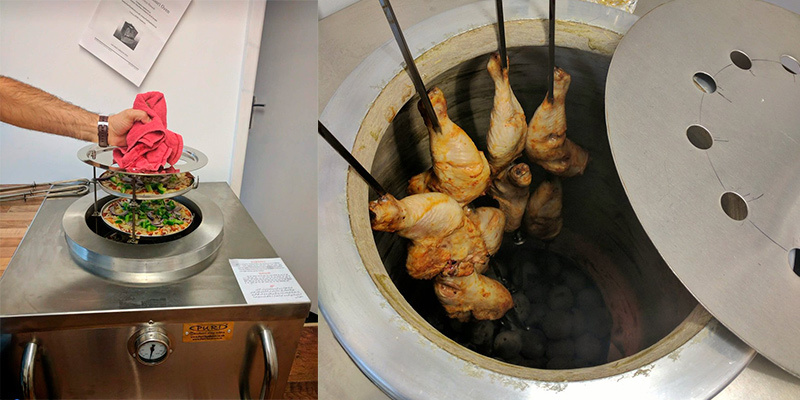 It's also worth noting that this tandoor comes with a rich set of accessories, allowing you to cook a whole variety of tandoor dishes - from popular tandoori chicken, kebabs, and tikkas to a range of flatbreads and some less popular and more traditional and authentic recipes you won't be able to cook in a conventional oven. This gas tandoor oven from PURI is a choice of professional cooks, restaurant and grill bar owners as well as gourmet foodies who seek not only restaurant-quality flavors but also restaurant-grade cooking equipment. A tandoor is an oven or a cooking vessel made of clay. Traditionally, this type of cooking equipment was used in India, Pakistan, and in the Middle East. A typical tandoor has cylindrical shape and uses charcoal or firewood as a fuel. By design, classic tandoors vary from permanent structures that can be dug into the ground, built into kitchens or fixed as free-standing outdoor units to smaller pots that can be easily moved from one place to another. Smoldering embers in the bottom of the oven heat the walls and the air inside up to 900° F and maintain consistent heat, delivering quick and efficient cooking. Meanwhile, cylindrical shape and a wide opening on the top ensure proper ventilation, capturing just enough heat inside. A tandoor is an ideal construction for baking flatbreads (adhered to hot walls) and grilling succulent meats on skewers inserted into the oven or put over the oven mouth. Modern tandoors haven't changed much in terms of design and work based on the same principle. All of the tandoors presented on the market fall into three types: charcoal, gas, and electric, depending on what source of heat they use. These three types may further fall into commercial models designed for restaurants and portable models for home use. The advantage to cooking in a tandoor is that it takes less time to prepare a meal than on a gas stovetop, in a conventional oven, or in a microwave. Also, tandoor cooking is a healthier option as it keeps all nutrients and doesn't need any extra fats, making it suitable for those who follow a healthy lifestyle. If you love cooking, buy yourself a high-quality set of knives and measuring cups and impress your family with perfect cooking results! Menus of Indian restaurants abound with tandoori dishes. Crispy and juicy chicken, succulent lamb lag, and smoke-flavored kebabs are only a few examples of tandoori dishes most of you have tasted. So, is tandoori a recipe? Not exactly. Actually, it’s a method of cooking meats over an intense heat in a tandoor (hence the name). Yet, today, tandoori has become synonymous with the foods as well. The secret behind unmatched delicious tastes and unforgettable mouth-watering flavors of tandoori meats is the marinade. Since tandoors apply a radiant dry heat cooking principle, meat needs to be marinated not to get burnt and dried out when exposed to high temperatures. And what is the magic behind the marinade you wonder? Strange though it might seem, the tandoori marinade starts with yogurt. Surely, it’s not your favorite strawberry or blueberry morning treat but a plain yogurt without any flavorings and additives. Its natural acidity will tenderize the meat while its thick texture will help keep all spices so they saturate meat with pleasant, mouth-watering aromas. Spices are what gives tandoori meats that specific Asian touch. The commonly used spices are coriander, ginger, garlic, cayenne pepper and Indian garam masala that is a perfectly proportioned combo of roasted and powdered cumin, cardamom, cloves, black pepper, cinnamon, and nutmeg. Though a tandoor is not a common thing for American kitchens, tandoor cooking offers a number of benefits that make it more and more popular among non-Asian home cooks. Low-calorie and low-fat meals. Healthy lifestylers, take heart. You are free to eat tandoor-cooked meats without the guilt of extra calories and fats. Since meats are cooked in their own natural juices, you don’t need much extra oil or butter. You can even cook without any oil at all. And at the same time, you’ll still achieve that appetizing brownness and crispiness of barbequed meats. Maximum nutrient content. In a tandoor, foods are cooked at very high temperatures. Not only does it significantly cut the cooking time but also it allows sealing all the juices inside, all this minimizing the loss of nutrients and vitamins. Distinctive flavor. Nothing can compare to a smoky flavor of tandoor roasts and breads and you won’t be able to achieve that specific hint of woodsy smoke using any other cooker. Cooking on a gas stove kills natural food aromas and flavors, they quickly evaporate changing the taste of foods. Meanwhile, natural food juices running over red-hot coals saturate the air with unique flavors that are mixed with earthy clay aromas and get quickly absorbed by the foods. Though modern tandoors are much easier and more convenient to use than their authentic predecessors, it will still take you several attempts to get the hang of it. However, several simple tips and tricks from experienced tandoor users will help you avoid that trial and error marathon and get things right from the very first time. 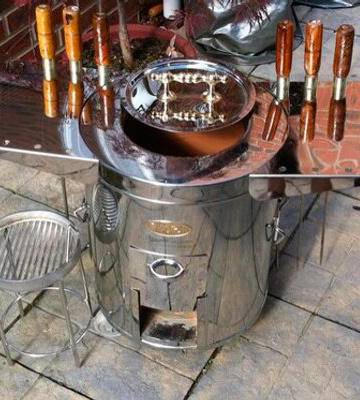 Let your tandoor get hot enough to quickly and evenly cook your foods both from the outside and from the inside. 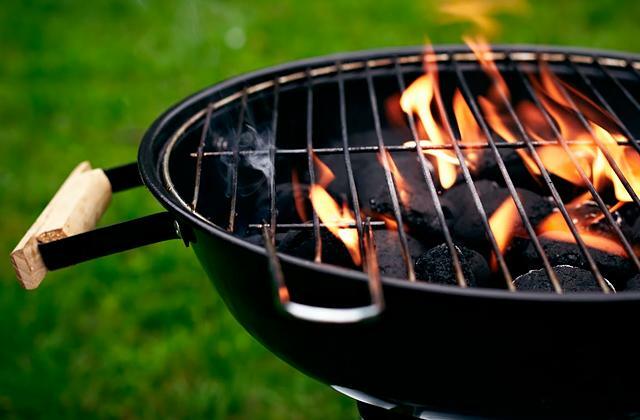 It is recommended to use restaurant-grade charcoal that will burn hotter and longer. To prevent burnt meats and breads, let the fire die down to embers before you put the meat skewers inside or stick naans or rotis to the walls. Soak your foods in a proper marinade. Add some atta or gram flour to your marinade to bind the liquid and prevent it from dripping off your veggies and meat.